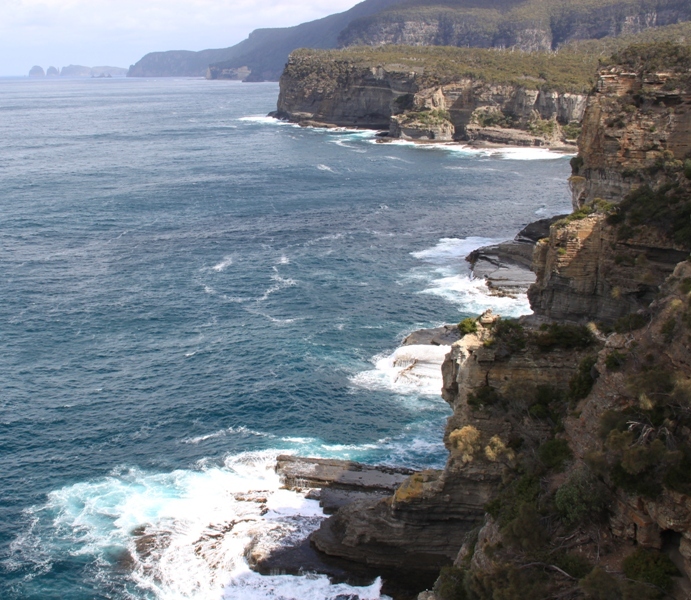 While driving back from doing the family tourist thing at Port Arthur we stopped at the spectacular coast near Pirates Bay and Tasman Arch. 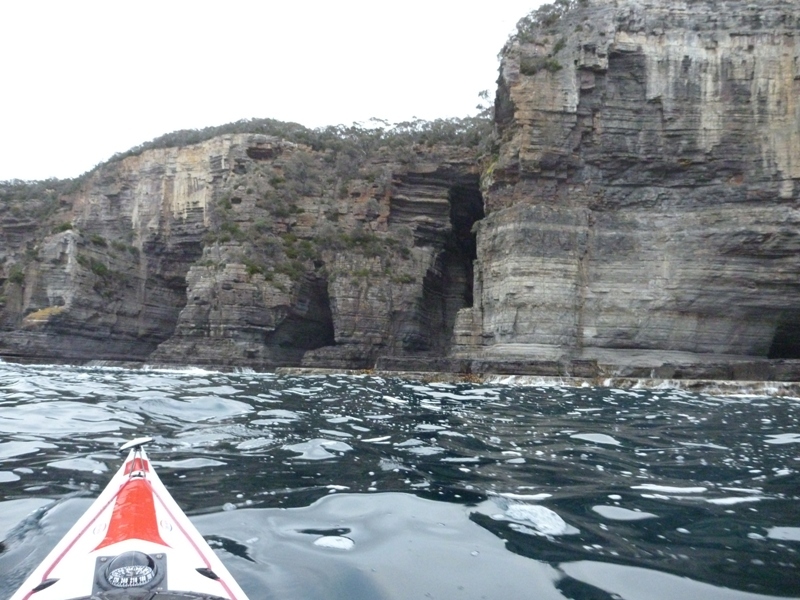 However time was against me so paddling along these cliffs would have to wait…..but not for long. Cape Hauy and the Lanterns would be a great spot to paddle. This photo was taken from nearly 12km away. 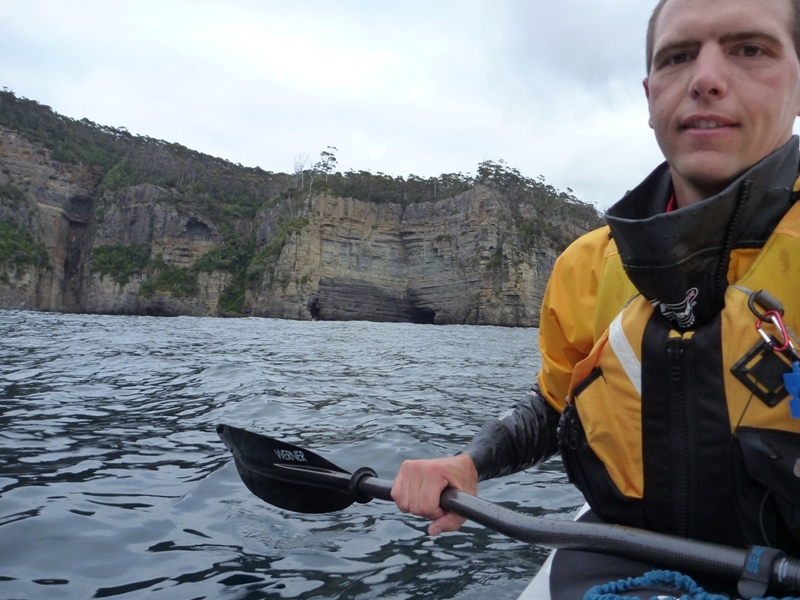 We were leaving the Hobart area the next morning so I got up early and was on the water at Pirates Bay at 6am. 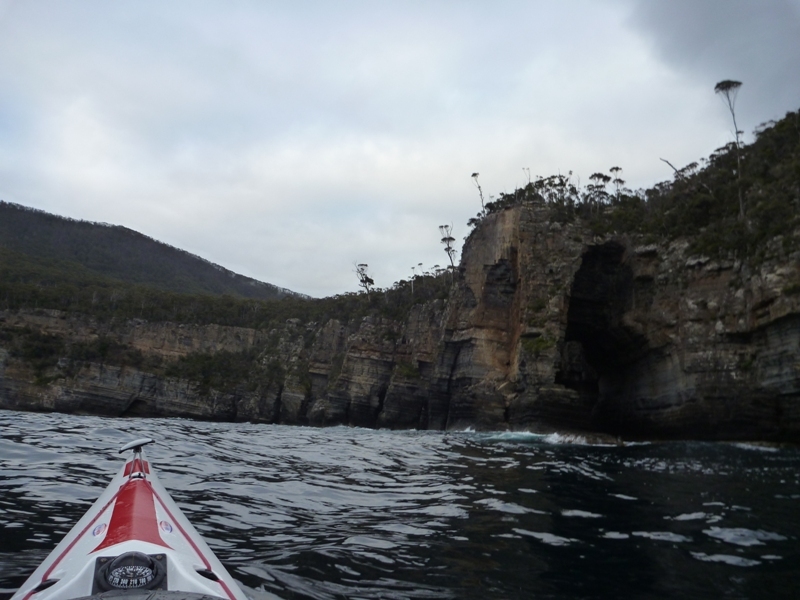 I only had 2 hours on the water but that was enough to get a taste of this great area and I am keen to spend a few days paddling between here and down to Tasman Island in future. 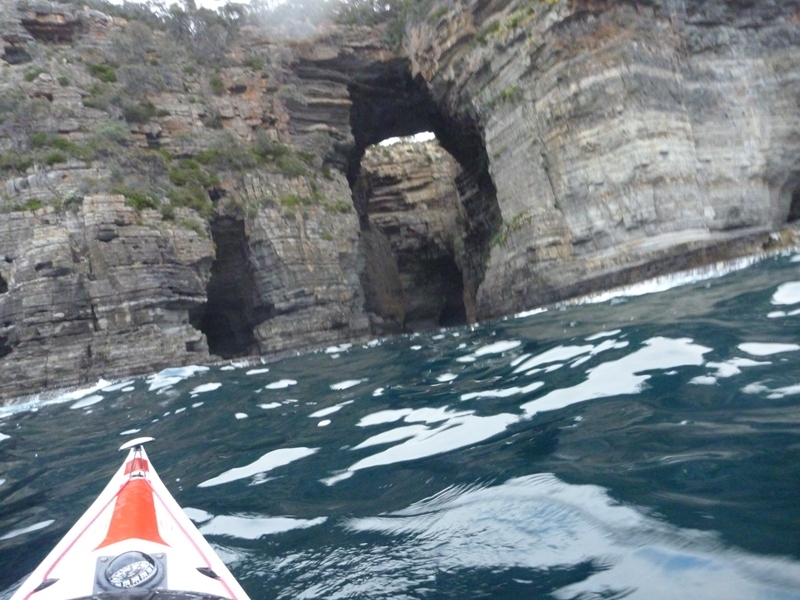 I was fortunate to have very light winds and a gentle swell (although the rebound off the cliffs was a bit messy). 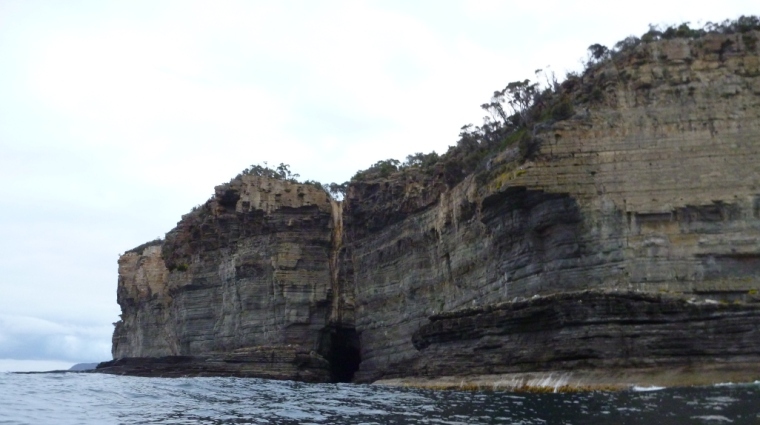 If you are lucky enough to have no swell you could explore some of the many sea caves along the cliffs. 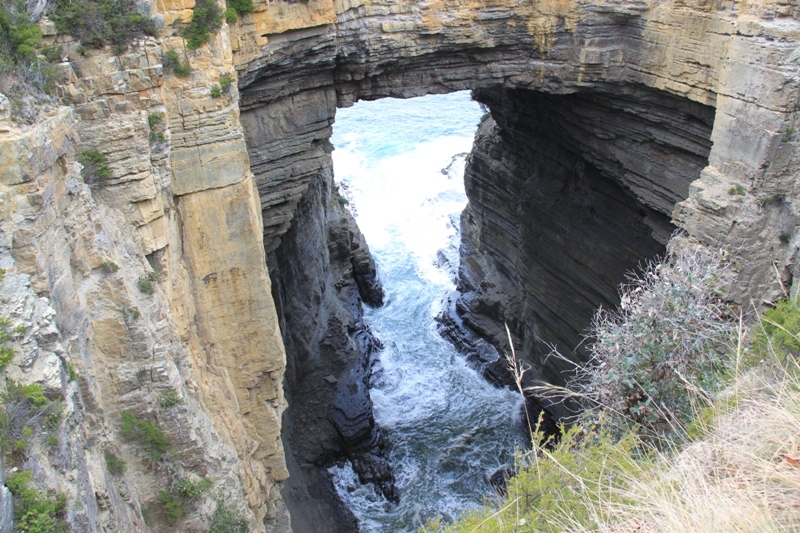 Tasman Arch taken from the other side. For this trip I tried mounting my camera on the RAM mount on my deck (normally used for the GPS) with mixed results. I was hoping the sky would be clear and I would get some great colours on the cliffs as the sun rose – but unfortunately it was overcast. And then it was time to head back to the car.